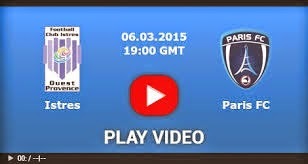 Paris FC has to play against Istres in the National in France today. Istres is the host and the underdog in this match. They surely have the weaker team and the home advantage is not very big here. Because of that I think that the guest should be a bigger favourite here and that is why I chose this pick. The guest is on the 1st place with 44 points out of 22 matches. Away from home they are 5-2-3. The host has just 15 points. At home they are also weak and because of that I think that the odds are to high.